This bright and sunny apartment (but cool in the summer because of its natural ventilation), has two floors and was completely renovated in 2008. It is integrated in a historical building from the 18th century in Pombalino style. In the lower part of the apartment there is the living room with a dining area for 5 persons. From there you have a view to the streets of Lisbon. It has also an equipped kitchen, one suite with a private bathroom/wc and another bathroom/WC. The upper floor has a marvellous view to the Lisbon Castle and offers 2-3 sleeping places (single bed) with air condition in the lower part from 10. March aircon available.. It can be used as well as reading space. The little romantic terrace with a view over the old city of Lisbon invites you to have a good and romantic breakfast or a glass of wine in the evening. From the big roof window you have a direct view to the castle 'São Jorge'. These bright and sun bathed apartments was completely renovated and are located in an historical building of the Pombalino style from the 18th century. The charm of an 'old building' stayed, especially the old oak floor and high sealings. From the appartments you have a view to the streets of Lisbon. The flat 'Diva 2' is in the 1st floor right, has 2 bedrooms/2 bathrooms, and capacity up to 6 persons. The flat 'Diva 1' is in the 2nd floor right, has 3 bedrooms/2bathrooms and space for up to 8 persons. The flat 'Diva 3' is in the 2nd floor left, has 2 bedrooms/2bathrooms and capacity for 5 people. The flat 'Diva 4' is in the 1st floor left, has 2 bedrooms/2 bathrooms and capacity up to 5 persons. The duplex-flat 'Boa Vista' is in the 5th floor and has 2 sleeping areas/2 bathrooms for up to 5 persons. A special part of the apartment is its little romantic terrace with a view into the old city that invites you to have breakfast or a glass of wine in the evening. The location is very central from where you can reach all sights by foot. Please ask us for group bookings! Group bookings possible - please ask! Small bacony with great view over the old town and good sun exhibition. Internet access through WIFI. A private laptop can be organised if necessary. Turism information and maps are available. The guests will be received by the owner. If there is the wish for advice and information about sights, restaurant etc. there will be given support. On the terrace can be smoked. There is a air-conditon in the upper part of the apartment. The other parts have fans. This apartment is conveniently located in Lisbon, with great accessibility to the metro, trains and within walking distance of many attractions. The apartment is unique in layout and decoration -- so inviting. We enjoyed our stay thoroughly. Paulo provided excellent suggestions and directions for restaurants and activities. I recommend this apartment for couples, families and friends. We really loved Boa Vista. Great location and warm welcome by Paulo who gave us all the informations we needed and recommendations for restaurants and places to visit. Loved this spot. Greeted by Paolo who gave a great overview of the apartment and made many suggestions to enjoy our stay in Lisbon. Place was clean and lacked no amenity. Would stay here again in a heartbeat and re ommrnd to all our friends. This apartment is located in a very convenient location in the historic district. The apartment is clean and very nicely decorated. There is a small balcony where we were able to enjoy sitting outside and a there's wonderful view from the upstairs bedroom. The hosts were more than accommodating when we had questions or needed help. I highly recommend this apartment!! 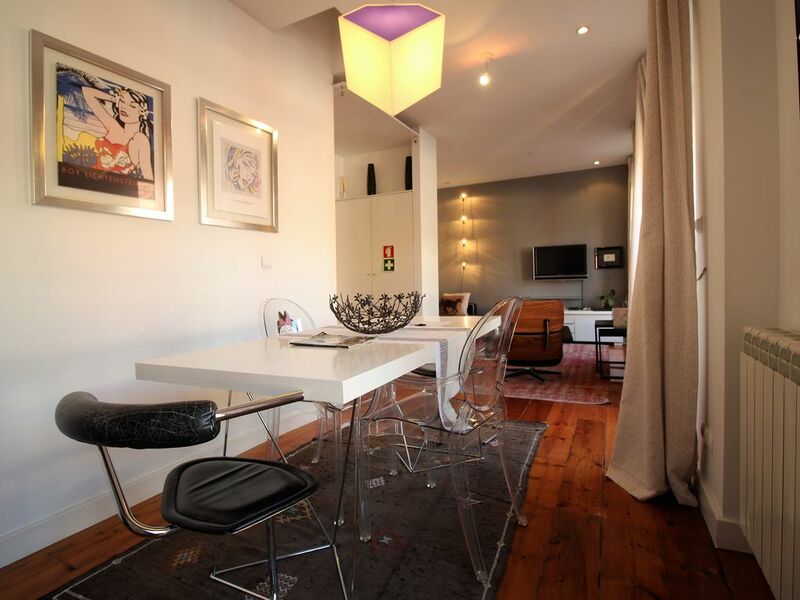 Beautiful apartment in a great neighborhood, walkable to many parts of Lisbon. Very responsive owners who provide plenty of information. Small elevator in the building. Really enjoyed our stay here! Great location, wonderful apartment. Friendly and organised communications and welcome. Andre met us for check in - spent time to point out key areas to visit in the city which was helpful. Genuinely wish we'd book for longer.